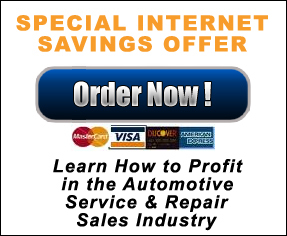 How to Sell Automotive Service and Repair at a Profit! 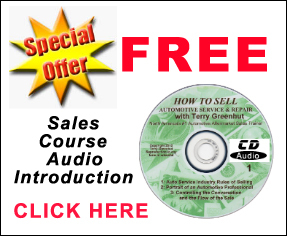 The most complete and comprehensive sales training and marketing strategy course ever developed. 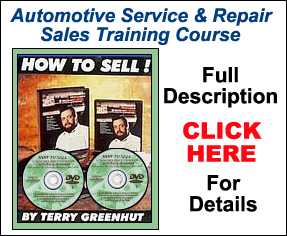 This course is designed to teach Auto Repair Shop Owners, Managers, Service Writers, Technicians, and Sales People how to do the best possible job of selling automotive service and repair to their Wholesale, Fleet, and Retail customers.